Tim Hetherington is a British photographer and filmmaker responsible for some of the world's most beautiful and thought-provoking images. 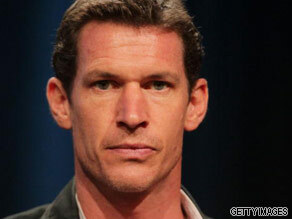 Tim Hetherington is your Connector of the Day. Hetherington got his start as a photographer more than a decade ago and spent much of his early career working in west Africa where he documented some of the worst civil conflicts on the continent. In places like Nigeria, Sierra Leone and Liberia, Hetherington shot images that ranged on topics from poverty to child soldiers. In 2007, Hetherington won the World Press photo competition where his work photographing exhausted soldiers in Afghanistan earned him the prestigious prize. The photo collection was also featured in "Vanity Fair." Hetherington has also dabbled in film making and in 2010 he teamed up with writer Sebastian Junger to work on a documentary called "Restrepo" about his time in Afghanistan. The pair went on to win the Grand Jury Prize for best documentary at the Sundance Film Festival. Today, Hetherington is out with a new book called "'Infidel." Here's your chance to have your questions answered by one of the most gifted film makers on the planet. Please leave your questions for Hetherington below and of course you can also connect with the show by sending in your questions via Facebook www.facebook.com/cnnconnect and Twitter @BeckyCNN. Are you following mining developments? Cheering "Viva Chile," workers early Monday completed the installation of steel tubing to reinforce the path that will be used to bring 33 trapped miners to the surface. 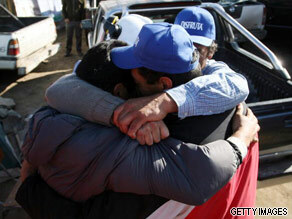 Relatives of trapped miners celebrate news that rescue is near. About 96 meters of sheet metal was put in place to line the tunnel bored four-tenths of a mile into the Earth. The work was the final step before the extraction of the miners can begin, Mining Minister Laurence Golborne said Sunday. If all goes according to plan, the first of the miners could be pulled from the mine by Wednesday, he said. But the health and safety of the miners remained the top priority, he added. The miners have been trapped since August 5 and the crisis has not only gripped Chileans in their native land, but it has been captivating people around the world. We want to hear from you - are you a Chilean that has been following the developments of this crisis? What will it mean when they are finally freed? Have you donated money to help? We'd love to hear from you and then air your comments and thoughts on the CNN. You can also leave your thoughts on our new Facebook page www.facebook.com/cnnconnect or tweet us @BeckyCNN. He's been dubbed the "sexiest man on the planet," one of the most profitable actors in Hollywood and even a talented director. George Clooney is your Connector of the Day. But, even with all the accolades, George Clooney hasn't rested on his laurels. He's converted some of his Hollywood pulling power into a number of social causes ranging from human rights to global poverty. An issue that Clooney is particularly passionate about is the crisis in the Darfur region of Sudan. Clooney has been campaigning since 2006 for a peaceful resolution of the conflict that has led to the deaths of about 300,000 people, according to the United Nations. In 2007, Clooney spoke at a "Save Darfur" event in Washington D.C. to raise awareness of the issue and he has even used his name recognition to push world leaders to take action. While many Americans may not have known what was happening in the region, Clooney helped bring the conflict into living rooms around the country. Clooney produced a TV documentary called "A Journey to Darfur" which advocated for action. In December 2007, along with fellow actor Don Cheadle, Clooney was presented with the Summit Peace Award by the Nobel Peace Prize Laureates for his work around the Darfur crisis. 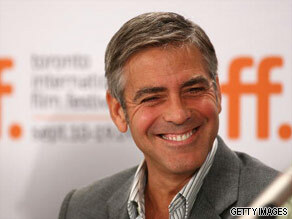 The following month, Clooney was made a messenger of peace by the United Nations. Today, Clooneyhas joined human rights activist and author John Prendergast to continue raising awareness of the conflict. Here's your chance to quiz one of Hollywood's most interesting figures in both the acting world and human rights arena. Please leave your questions for him below and you can also send in your questions via Twitter @BeckyCNN and our brand new Facebook fan page www.facebook.com/cnnconnect.